The post is sponsored by Post Consumer Brands. All thoughts and opinions are my own. 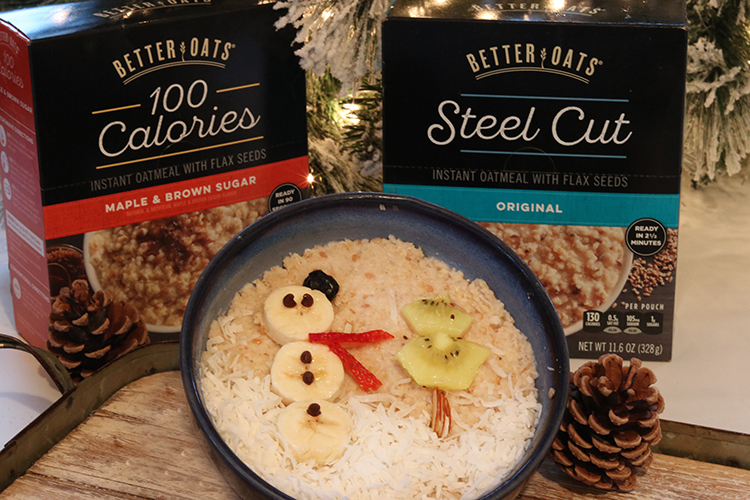 This is the perfect time of year to warm up with a yummy bowl of Oatmeal. 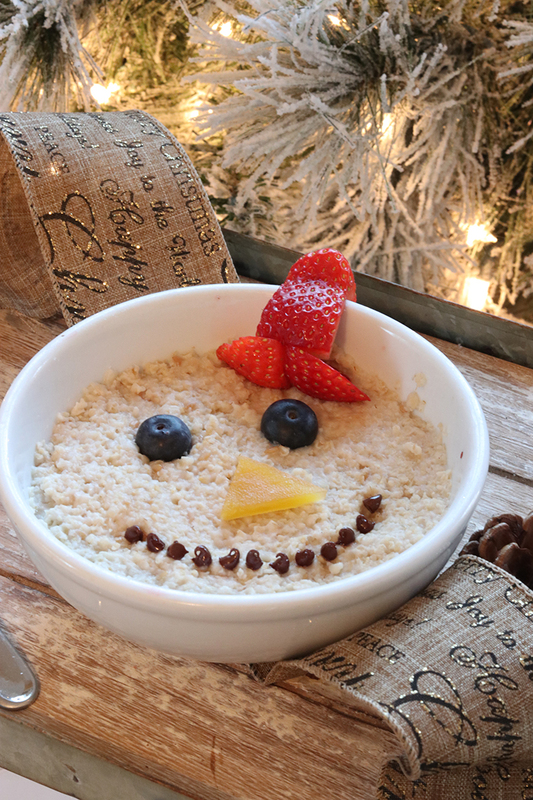 We’re sharing several fun topping ideas for some fun holiday oatmeal bowls that you and your kids will love. 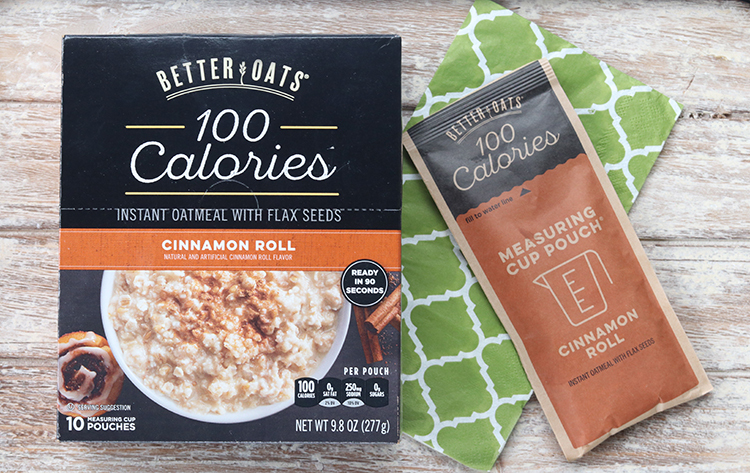 Better Oats instant oatmeal is made with flax seeds and is ready to eat in 90 seconds. 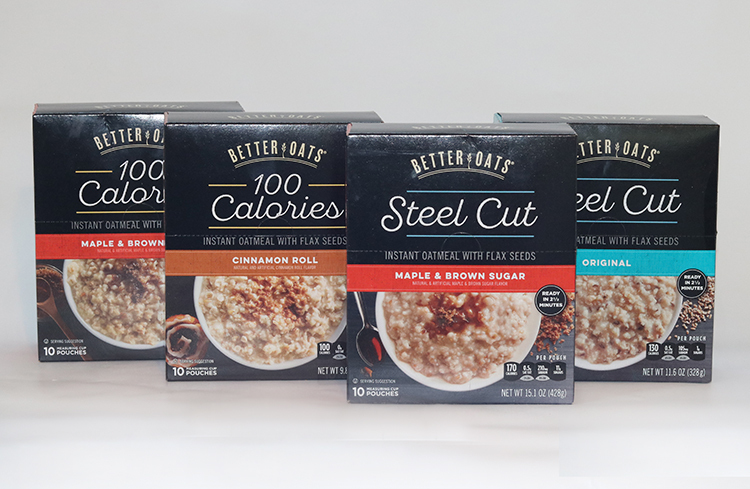 You’ll find the Better Oats 100 Calories and Steel Cut Oatmeal at Target. I love how each oatmeal packet is also a convenient measuring cup pouch. They come in several great flavors too, like Maple & Brown Sugar, Cinnamon Roll and Original. 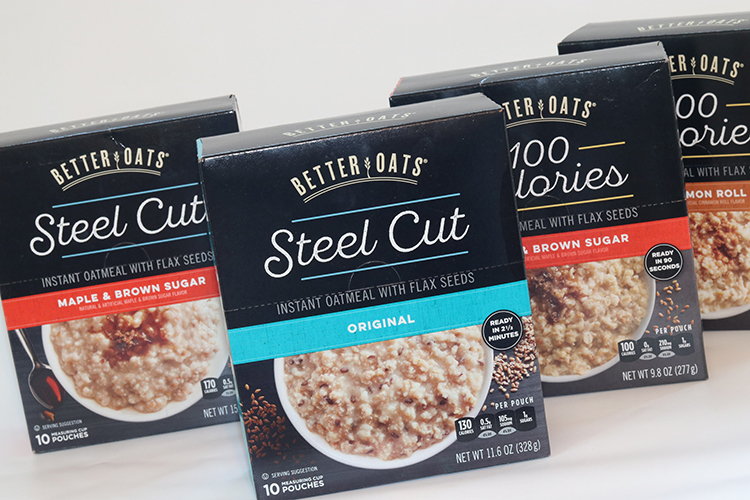 At Target through November 24th you can save 15% off Better Oats and Mom’s Best Hot Cereal with Cartwheel. 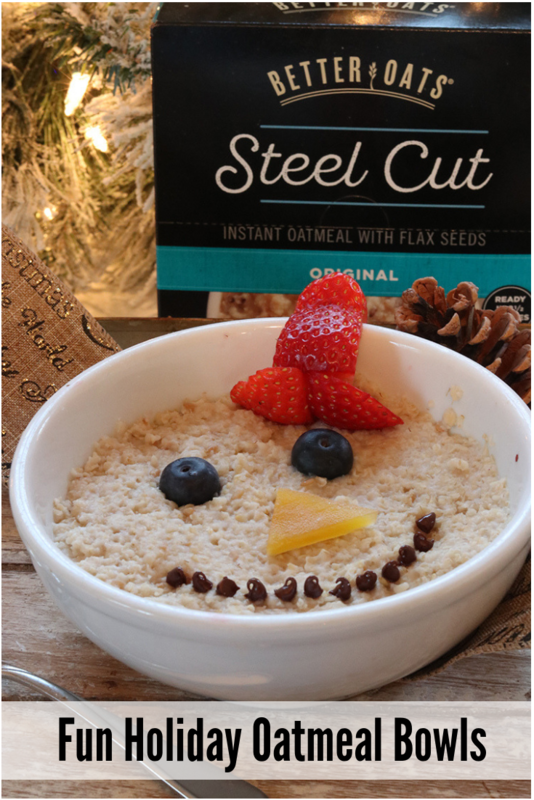 We used some of the toppings ideas with the Better Oats to put together some festive oatmeal bowls that both you and your kids will love. Start with two blueberries for the eyes. I used a dried mango cut into a triangle for the nose. Use mini chocolate chips for the smile. For the hat I used a strawberry, I placed a sliced strawberry onto the edge of the bowl, and used the two edge pieces at the base of the strawberry to make it look like a hat. Fill the top third of the bowl with raspberries, slightly centered towards the left. Add a single marshmallow to the top of the hat. Add sweetened or unsweetened coconut for the beard. Add two dried blueberries or raisins for the eyes. Finish it off with a raspberry for the nose. 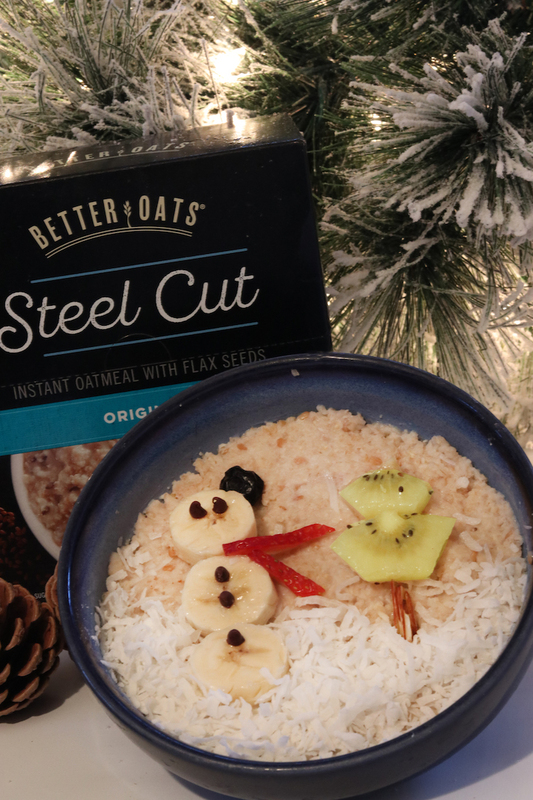 Use unsweetened or sweetened coconut at the bottom of the bowl, add three slices of bananas and stack to make a snowman. Add mini chocolate chips to snowman for buttons and eyes. Slice strawberries to make a scarf, and a dried blueberry or raisin for the hat. 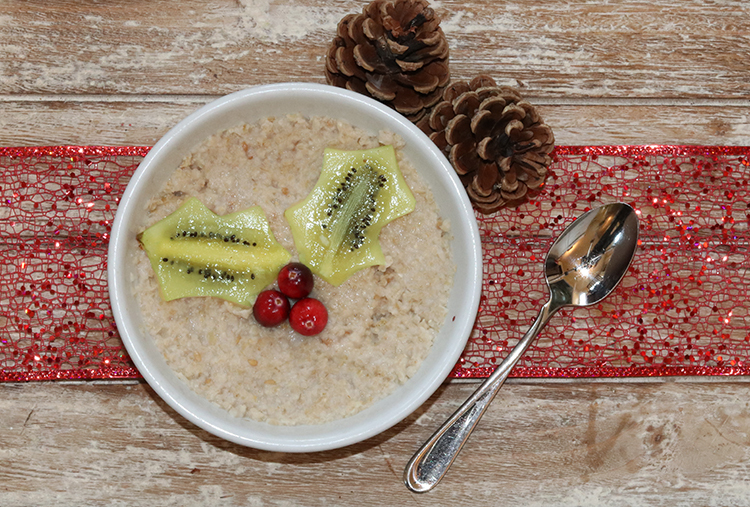 To make the tree, use sliced almonds for the trunk and kiwi for the tree. Slice Kiwi lengthwise, cut with a knife around the perimeter to make a shape of a holly leaf. Add two leaves to bowl and add three fresh cranberries in the center. 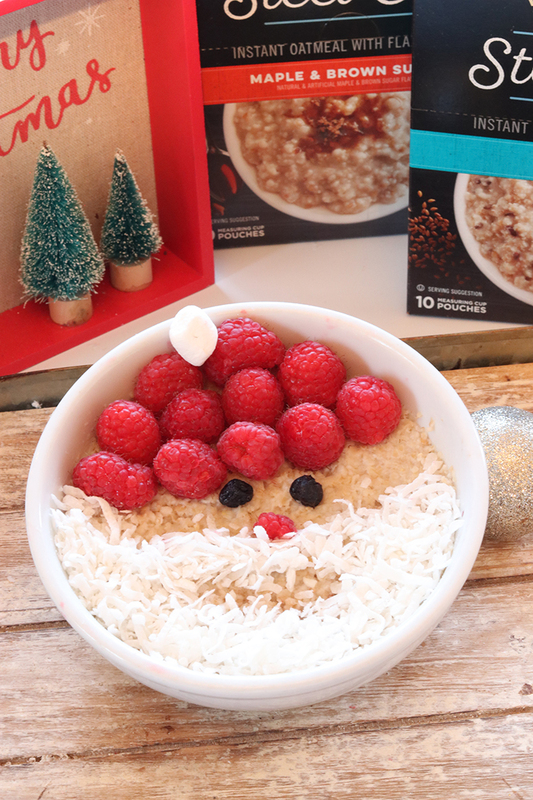 It’s super quick and festive! 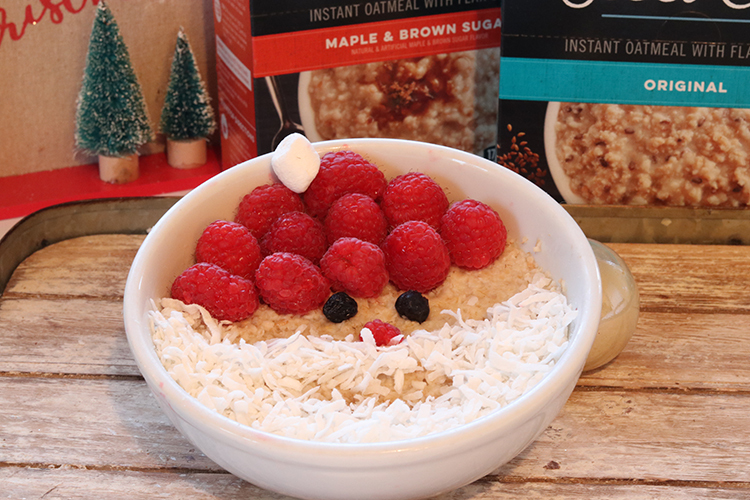 When you swing by Target this week to pick up your holiday necessities, make sure you add some of the Better Oats Instant Oatmeal to your cart and don’t forget to take advantage of the 15% off Cartwheel savings.